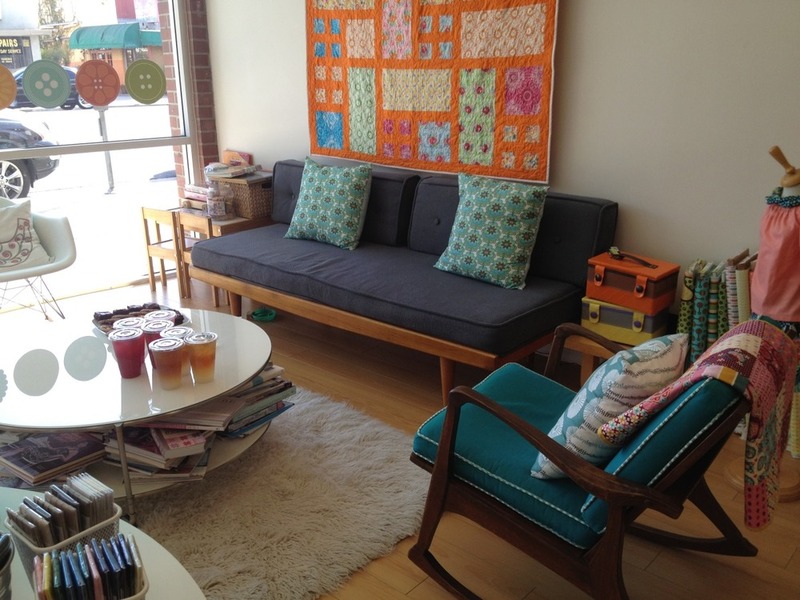 Ever been to Sew Modern in L.A.? A few of us recently stopped by the shop to see our friend Lauren Hawley and the rest of the Sew Modern team, and we had just the most wonderful experience! They were all so nice and really made us feel right at home, taking the time to talk with us about new trends and to give much-valued suggestions about our fabric lines. 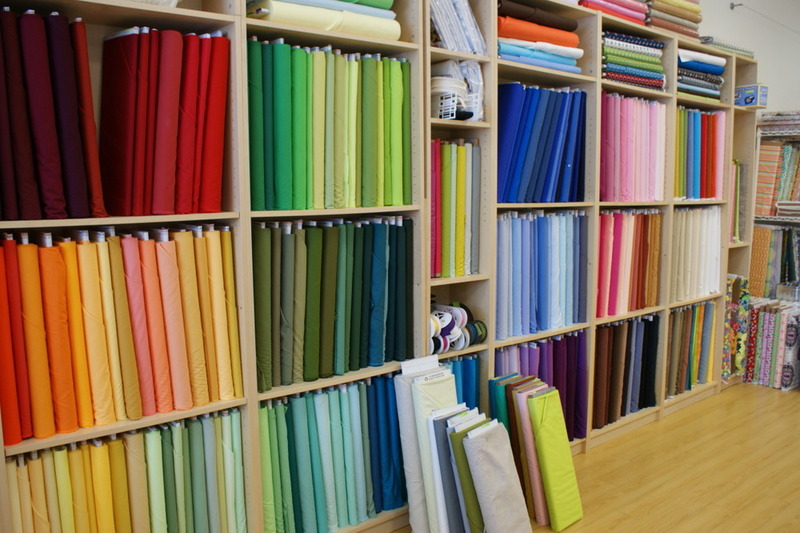 For those of you who haven't been there yet, Sew Modern is a super-hip fabric store on Pico Boulevard in Los Angeles that has adopted a very innovative business strategy. 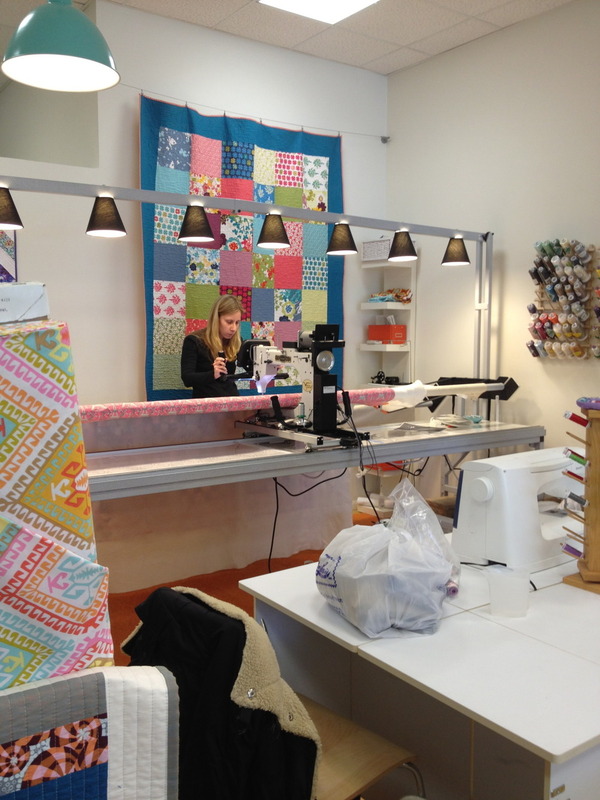 Not only do they sell fabric, they also host regular in-store classes for people of all ages as well as a wide variety of events like birthday parties, baby showers, and even bachelorette parties! We must admit, we also snuck a pic of Lauren's beyond adorable shoes! Suffice it to say that we were very impressed with the pleasant atmosphere and everything Sew Modern had to offer. 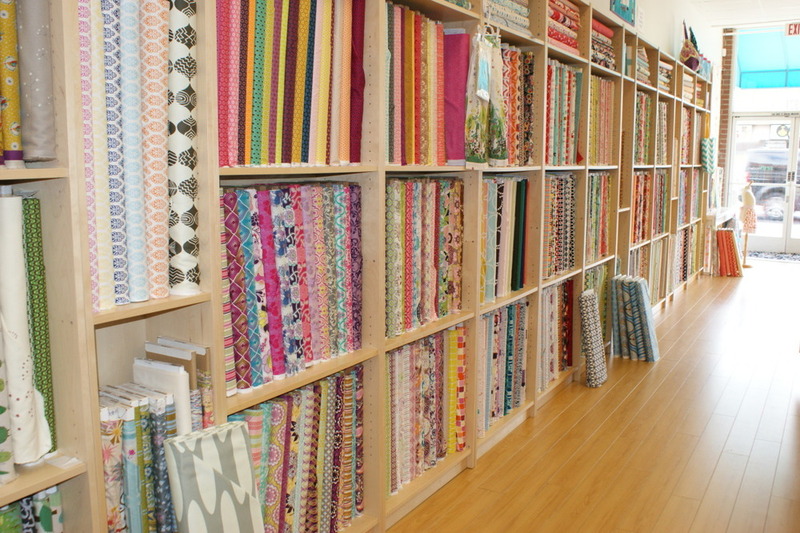 To learn more about their fabric selection, classes, and events, visit the Sew Modern website or their blog!